The pipe organ at St George & St Andrew United Church (Opus 28) was built by Létourneau Pipe Organs of St-Hyacinthe, Québec and completed in 1991. The instrument has 14 stops and 804 pipes. 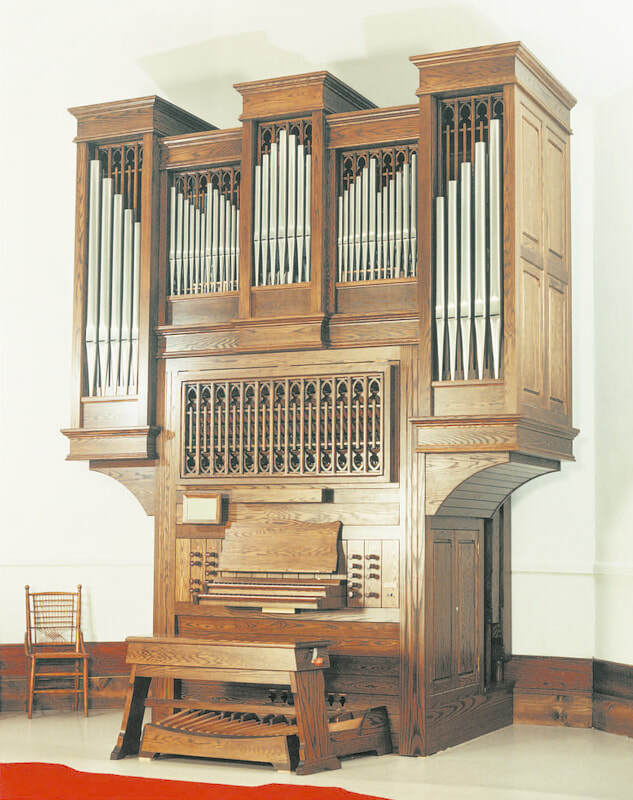 The instrument's case is made from solid oak and measures 13-feet tall. The instrument is played from the two-manual console which boasts mechanical key action, offering the organist increased precision and sensitivity. Létourneau Pipe Organs has been an international leader in pipe organ design, construction, restoration and tonal finishing for over 35 years. Their pipe organs are conceived as engaging musical entities combining rich, balanced colours with precise, responsive key actions that encourage skillful playing.